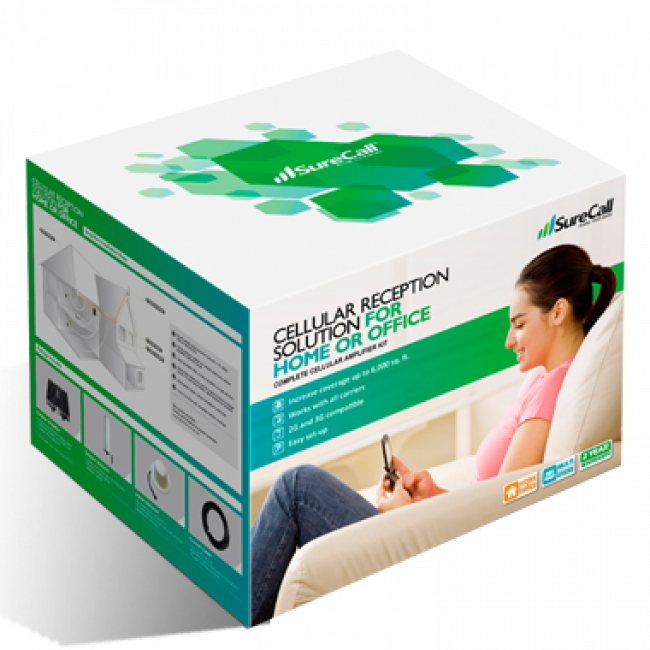 The SureCall FlexPro Dual-Band Yagi/Panel Signal Booster for Voice & 3G (SC-DualH/O-72-YP-KIT) is a powerful dual-band signal booster kit designed for homes and small offices. 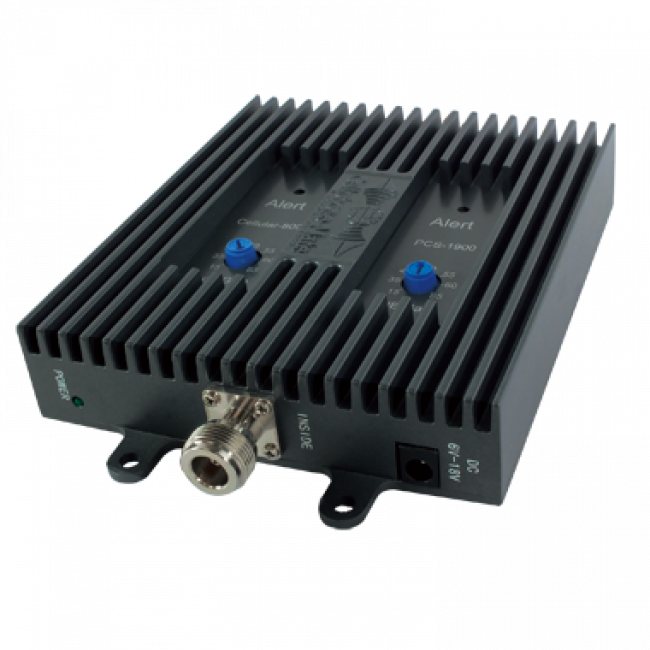 The FlexPro can boost a signal over an area of up to 6,000 sq ft inside if you have a strong outside signal. 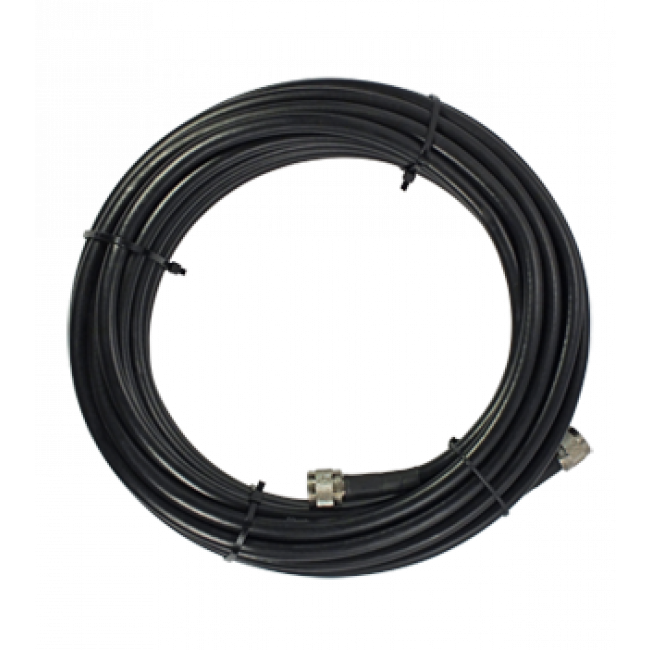 For maximum performance, the FlexPro Kit requires at least 50 ft of horizontal or vertical separation between the inside and outside antennas. 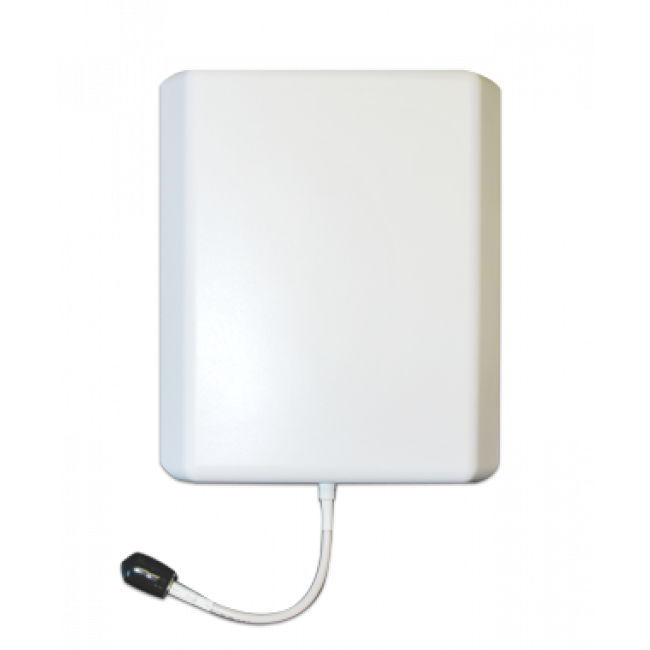 The SureCall FlexPro Signal Booster Kit features a directional (yagi) outside antenna which is more powerful than an omnidirectional antenna is best for when your existing outside signal is 3 bars or less. 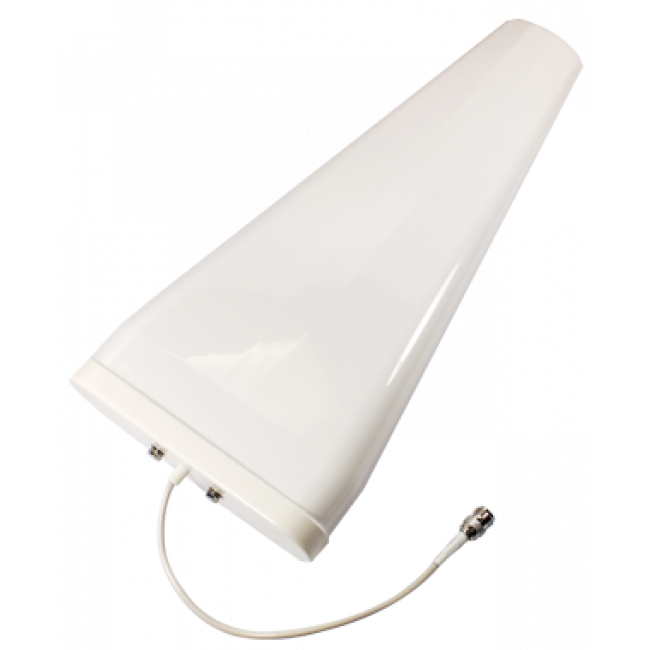 Directional antennas must be aimed for best performance which is fairly simple to do through trial and error. Because directional antennas must be aimed, they only be able to cover one carrier depending on the location of the towers. 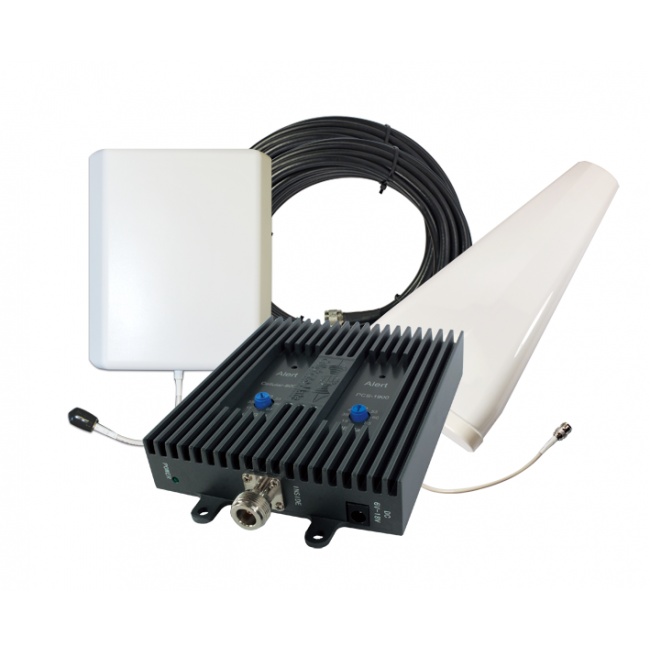 This kit also features a panel inside antenna, which is best for covering multiple floors or long and narrow spaces. To cover just a single floor in an area with a drop ceiling, our FlexPro Yagi/Dome kit may work better. 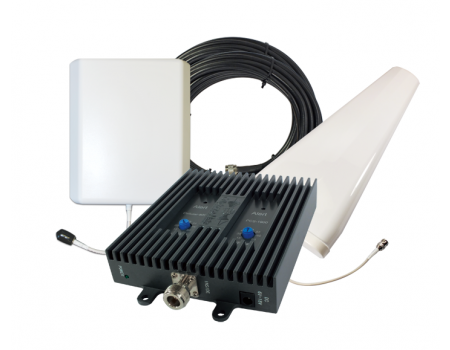 If you have a strong existing outside signal (4 bars or more) and you need to cover multiple carriers, you may want to consider one of our FlexPro Omni kits which can cover multiple carriers simultaneously and has the same coverage inside when you have a strong existing outside signal.